Hi Sean, great post! I’ve also seen cloud computing absolutely blow up. It’s quite something to watch. I saw you mentioned A Cloud Guru and qwikLABS training, and I felt the need to add LinuxAcademy.com. It’s a cheaper monthly alternative instead of paying per course (which adds up quickly). You also mentioned the free AWS labs, which are offered there too and the content coverage is frankly not even a contest IMO. Just wanted to provide some extra value to your readers. Hope it helps! Hi Chris. Looks like $9 for first month, so perhaps I’ll try it out & write a review. 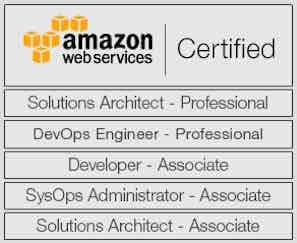 Next PostNext Is demand for aws skills skyrocketing?